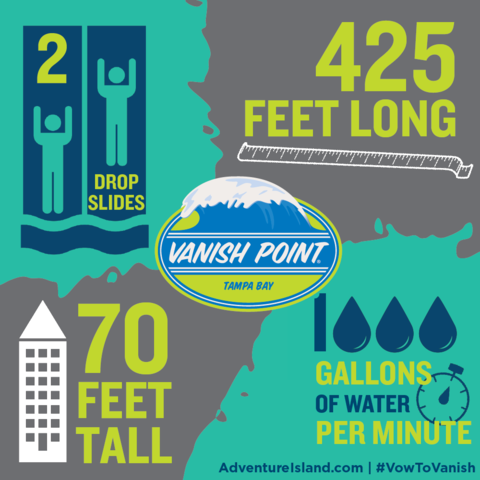 Adventure Island’s new drop slide ‘Vanish Point’ is nothing short of epic. After climbing a 70-foot tower, you’ll step into one of two skyboxes, and face your fears as the floor disappears beneath you. Or, get horizontal on a 455-foot long slide ending with a high-speed finale. The drop slide will be located at the center of the park next to Colossal Curl. Vanish Point opened Friday, March 9.